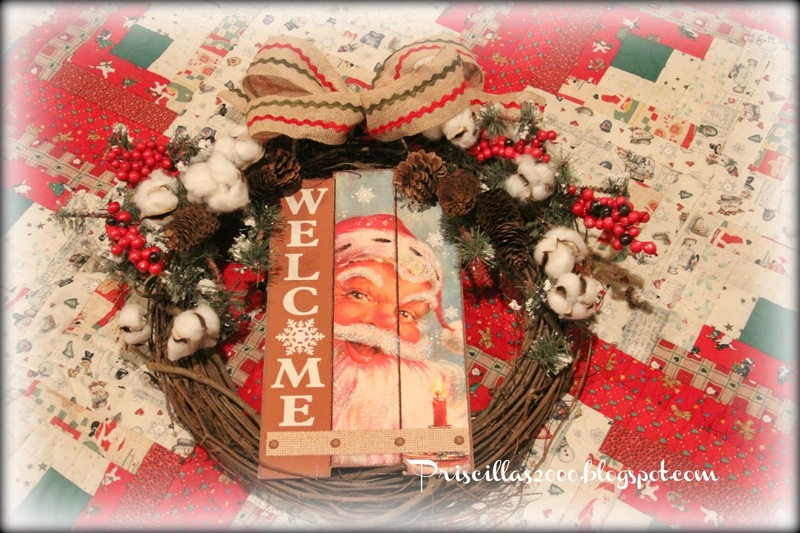 About a month ago I found this Vintage looking Santa ( wooden board ) at the Dollar Tree for you guessed it $1.00 ! 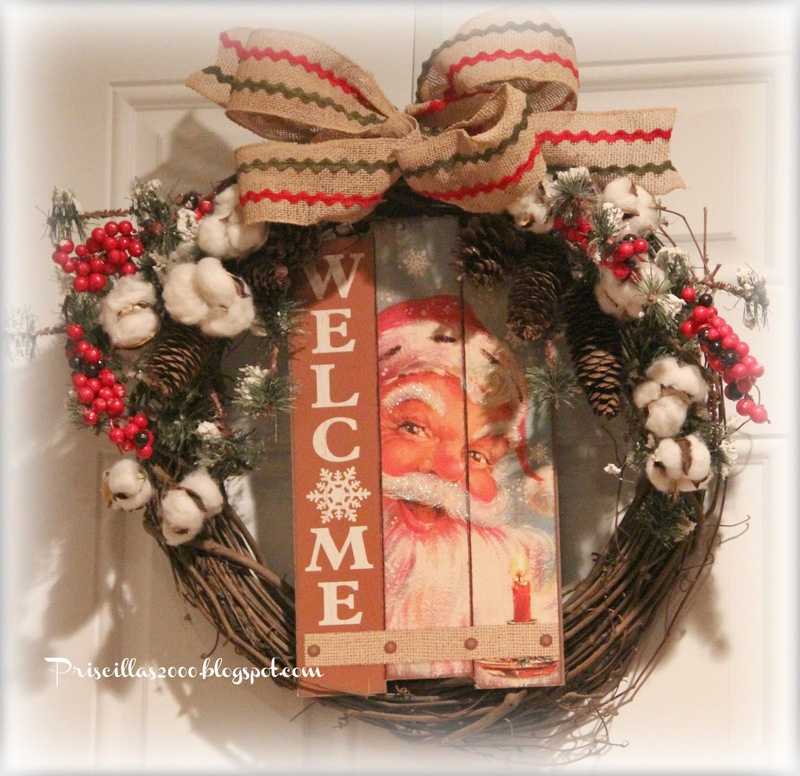 I couldn't decide where to put it so it became a very inexpensive wreath! Remember last year I made this wreath from a Dollar Tree sign? The reindeer wreath hangs in my downstairs powder room.. I purchased 2 flocked -pine cone-berry picks (50% off) so there is one on each side ..from Hobby Lobby and the grapevine wreath .. 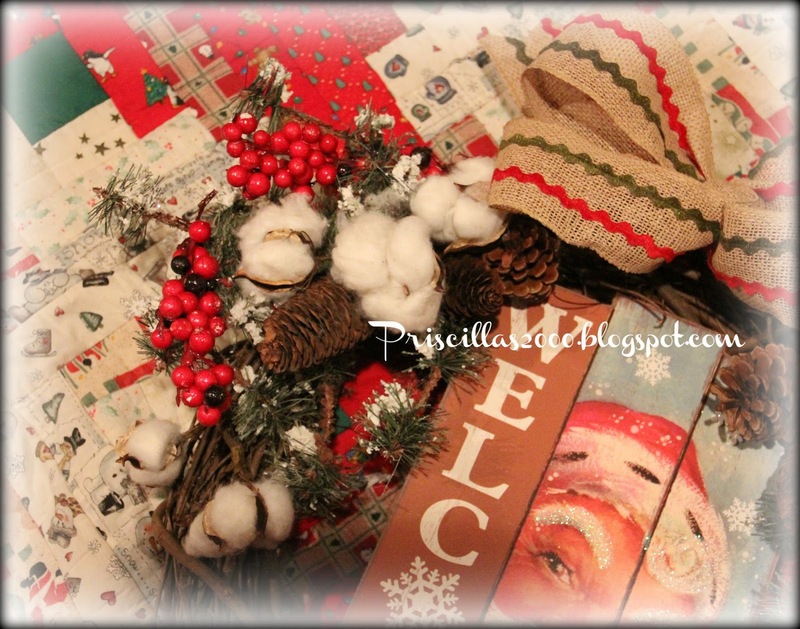 I also used one faux cotton branch split into two parts( You know I love my cotton branches! ).I didn't glue any of it in so I can change it out if I decide to in the future.. The ribbon is from Michael's at 70% off! Right now its hanging in the family room on the garage door.. and I love it! It took about 15 minutes from start to finish! You find so many great bargains. I have to make a smallish wreath for my mom's front door and you have given me a couple of ideas. Love your decorating style. 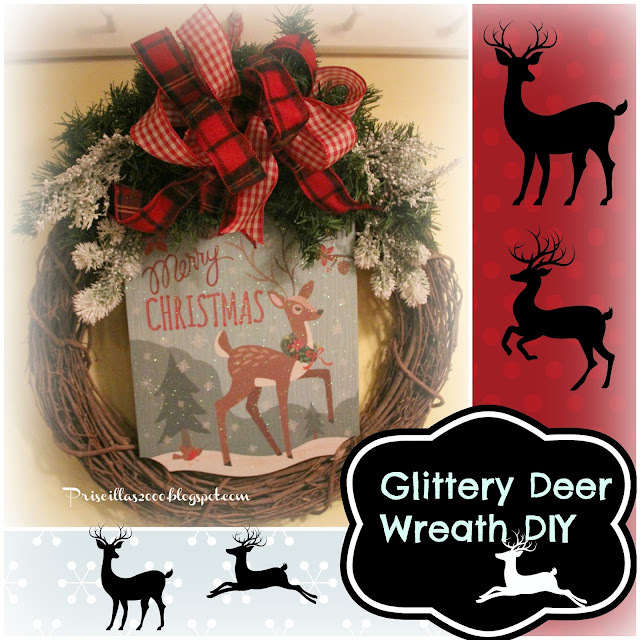 A cute inexpensive wreath. I found a few little touches of Christmas at my dollar store today. A few weeks ago I was fortunate to buy some beautiful Fall decor half off from HL, perfect for next year:). I need to pop into Dollar Tree once in a while. That Santa sign is adorable!! Love that sign! I picked up a snow man one that has a similar look!! The wreath idea was a great one and it came I=out looking fabulous! !